The diverse wildlife and stunning scenery of Costa Rica make it the perfect destination for nature lovers. Exploring its rainforest, cloud forest and volcanoes, this singles-only tour from Cox & Kings is the perfect introduction if you’re travelling solo, complete with accommodation that’s full of character but with no single supplement. 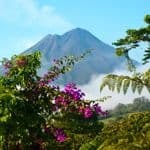 Costa Rica is one of our most popular destinations and, if you are travelling solo it’s best explored as part of a small group. There are no single supplements and accommodation is based on the single occupancy of twin or double rooms in first class hotels where we have negotiated sensible prices for solo travellers. Group sizes vary between 10 and 25 people – whilst there is no age grouping, most of our single clients tend to be over 50. Every tour includes a welcome dinner to allow the group to get to know each other, and a farewell dinner. Breakfast daily and some other meals are included but there’s also the chance to discover local restaurants. Experienced tour managers accompany each trip throughout, supported by knowledgeable local guides and drivers. With British Airways now flying from Gatwick to Costa Rica three times a week, it’s become one of our most popular destinations. 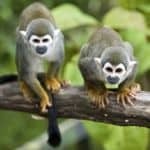 Natural Wonders of Costa Rica, for solo travellers only, is all about this island’s spectacular natural wonders from the Caribbean to Pacific coasts – the diverse wildlife, volcanoes, rainforest and cloud forest. Starting with two nights in San Jose, you’ll visit a coffee plantation on the slopes of the Poas Volcano as well as exploring this characterful city. There’s a canal cruise through the backwaters, home to birdlife, monkeys and sloths, and time in Tortuguero’s tropical forest before heading to the La Selva Biological Station, staying in a charming lodge with spectacular views of the Arenal volcano. As well as an optional trip to the hot springs, there’s a tour of the hanging bridges over the rainforest. There are two nights in the lush green mountains of Monteverde with a chance to see the colourful quetzal bird in the cloud forest. 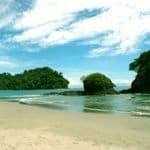 The Carara National Park, home to crocodiles, monkeys and scarlet macaws, is a high point as is a walking tour of the Manuel Antonio national park where there’s a chance to swim off the glorious beach. Accommodation throughout is in hotels and lodges, all selected for their location, warm welcome and character. 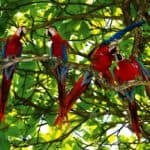 Find out more about our Costa Rica escorted tour and other tours for single travellers. Also see the best time to visit Costa Rica.